What is the Toyota Rental Program? 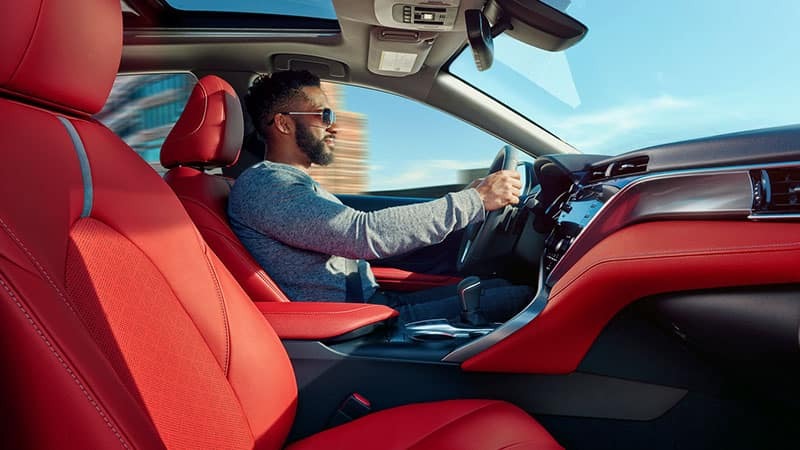 The Toyota Rental Program allows drivers to rent the latest Toyota model whether it’s for business or pleasure. This program is dealer based, meaning you get competitive rate as well as our quality customer service. You also receive access to 24-hour roadside assistance that covers breakdowns, fluid deliveries, tire changes, jump starts, lockouts, and towing. For more information, get in touch with Toyota of Gastonia, serving Charlotte and beyond. Visit your local Toyota dealer, let us know the days, times, and type of Toyota model you want to rent and we’ll get you behind the wheel. You can choose to from many new models with Toyota Rent a Car as long as you are 21 years or older. And if you’re interested in purchasing the model you’re renting, you can! You simply have to wait until the short 4 month in-service period has ended. We offer rental rates that are competitive with national car rental agencies. Toyota Rent a Car vehicles are allowed to drive anywhere in the continental U.S., Canada, and Alaska. You must have a major credit card and valid driver’s license to rent a vehicle. A car rental is a great way to take a Toyota model for an extensive, multi-day test drive. That way you can be sure it meets your specific needs. If you want to know more about what models we have to rent, the cost, or about purchasing a new Toyota model, visit us near Lincolnton or contact us at Toyota of Gastonia to learn more.